Find out what you're made of! Have you been on a diet? Are you trying to lose bodyfat? Want to monitor your training pogram? Want to know if you’re “skinny fat”? The BOD POD® can help! The fixation on weight, thinness, and BMI is where so many people get fooled into living unhealthy lifestyles. The BOD POD®, which uses air displacement technology, is considered to be the gold standard of body composition measurement. It is as accurate as hydrostatic (underwater) weighing, but quicker and easier to perform. 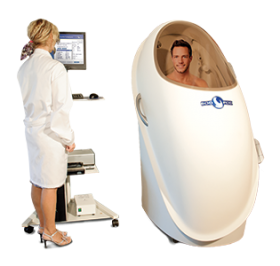 The BOD POD® is a high-tech body composition measuring device which measures fat mass and lean muscle mass. The Bod Pod is mainly used in university settings, for medical research, and at clinical, athletic, military, and professional health and wellness facilities. It’s also used by the NFL. Most people diet blind, not knowing how many calories their body burns during the day. The BOD POD® will accurately tell you how many calories your body burns during the day based on your activity level and lifestyle. The BOD POD® enables you to set up a personalized diet/lifestyle plan based on your body. Knowing how many calories your body burns, will allow you to lose body fat efficiently and effectively. 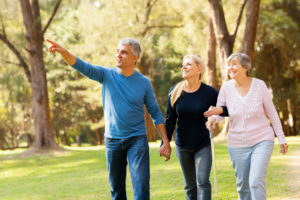 A person’s body composition is a direct reflection of their overall physical activity and nutritional practices. An accurate body composition analysis can identify important shifts in fat and fat-free (lean) mass components that a scale cannot. Being overweight or obese increases the risk for disease and health conditions such as hypertension, type 2 diabetes, stroke, coronary heart disease and certain cancers (endometrial, breast, colon). The fixation on weight, thinness, and BMI is where so many people get fooled into living unhealthy lifestyles. They feel like exercising daily and eating a healthy diet doesn’t apply to them because they look skinny. They think as long as I look good, that’s all that matters! But looking skinny doesn’t mean you’re healthy, if you are “skinny fat”. 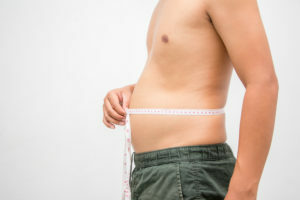 Skinny fat people are “underlean” (not enough muscle) instead of “overweight”, and have a little extra weight around the middle, or “belly fat. This is also common for al lot of people with spinal cord injury / wheelchair bound existence. Because of the way fat can be stored, skinny fat people risk having serious health problems. Not all fat gets stored under the skin. 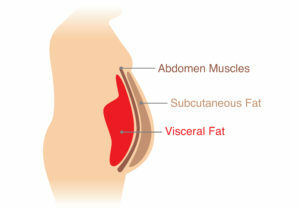 Fat that people can see is referred to as “subcutaneous fat”. But there’s a second type: “visceral fat”. This is the worse of the two. If you’re skinny fat, you likely have a lot of this second type. So while on the exterior, skinny fat people might look attractive, on the inside, their bodies may be at high risk for a number of health problems and syndromes. Weight alone cannot tell whether you’re skinny fat or not, which is precisely why so many people don’t realize that they are. So, how can you tell if you’re skinny fat? It’s not as easy as looking in the mirror or standing on a scale. You need to understand what you’re made of. One of the best ways to determine whether you may be skinny fat, is to have your body composition analyzed and your percentage of body fat determined. 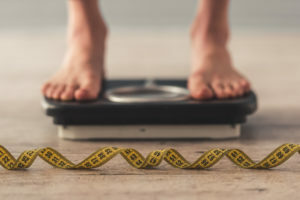 There are numerous difficulties and inaccuracies associated with properly determining obesity, visceral fat or general health, based on a bathroom scale or BMI. Because of this, the BOD POD® has quickly become the only accurate, safe, and fast method for assessing body composition. Testing is highly accurate, safe, and quick, with a complete analysis in about 10 minutes.